A messenger bag is one of the very practical bags available. Not only is it practical, allowing you to organize your stuff accordingly, but it is also an incredibly stylish piece. Since they come in various shapes and sizes, you can make your selection depending on your preferences. On that note, whether you’re a commuter that needs to depend on a sturdy, spacious messenger bag, or you simply need a new laptop bag, there is a specific product that will definitely meet your needs. 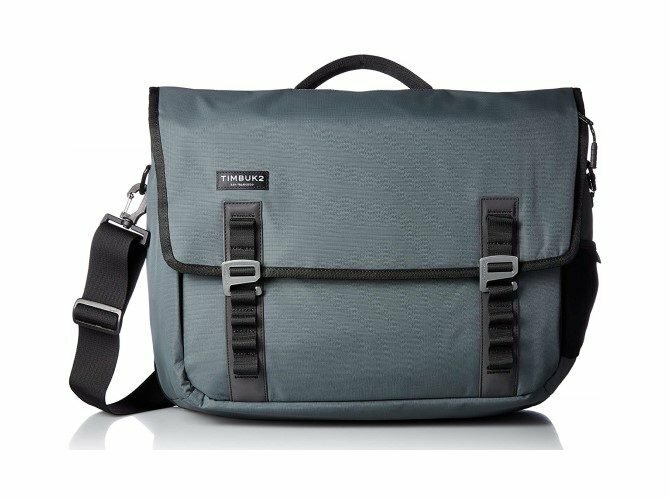 We’ve taken the liberty of browsing the market for messenger bags, and have selected some of the best ones currently available. So, go ahead and read our reviews of the 10 best messenger bags of 2019, we hope you find something you love! Evidently, this is an incredibly stylish messenger bag. By definition, leather bags indicate a sense of timeless style and elegance – and this particular model makes no exception to the rule. Featuring a genuine leather construction, it just looks classic. To be more specific, it is made from natural cowhide. We really like that the leather isn’t overly treated either, as this can sometimes ruin the entire appeal of a leather bag. As for the craftsmanship of the messenger bag – it’s just as impressive. The single threaded seams are stitched together to provide durability. We appreciate the tanned stitching, as it completes the overall look of the bag. We also like the worn, vintage-inspired look of the leather which isn’t too much, but still gives it a bit of personality. The same can be said about the buckles, which are also vintage-inspired. One important aspect to note is that the buckles aren’t meant to be used, they are purely aesthetic. If you want to open the flap, you should press and release the latch located right beneath the buckles. Is wearing this messenger bag comfortable? Yes! Even if you tend to carry way too much stuff in your bag, you’ll feel fairly comfortable while wearing this. Thanks to the padded shoulder strap, you won’t have to worry that it will slide over when you’re walking. Furthermore, the shoulder strap is also adjustable – allowing you to customize it to your height and preference. You’re also able to forgo the shoulder strap altogether, as it is removable. Even though this Samsonite messenger bag is made from natural leather, it’s still soft and not too stiff/rigid. Weighing roughly five pounds, it isn’t too heavy either. A messenger bag is all about practicality. In this view, we could say that this is a spacious messenger bag that does its job. You will find an organizer comprising of several dedicated pockets – including a pocket for pens, cell phone, and a zipped pouch for storing important documents. Aside from the main area, there are also two sections that are further divided, accommodating a laptop or tablet, among other things. 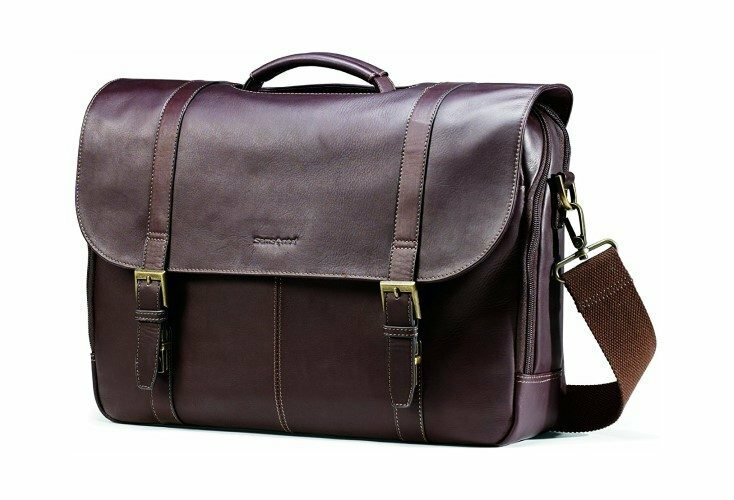 Given the structure of the compartments, we’d say the Samsonite messenger bag is best suited for professional or business purposes. Even though this is a quality bag, the soft leather is vulnerable to damage or staining -this isn’t the case with full grain leather messenger bags. Aside from this potential inconvenience, this is a durable messenger bag that holds up very well. From a structural point of view, it is excellent. 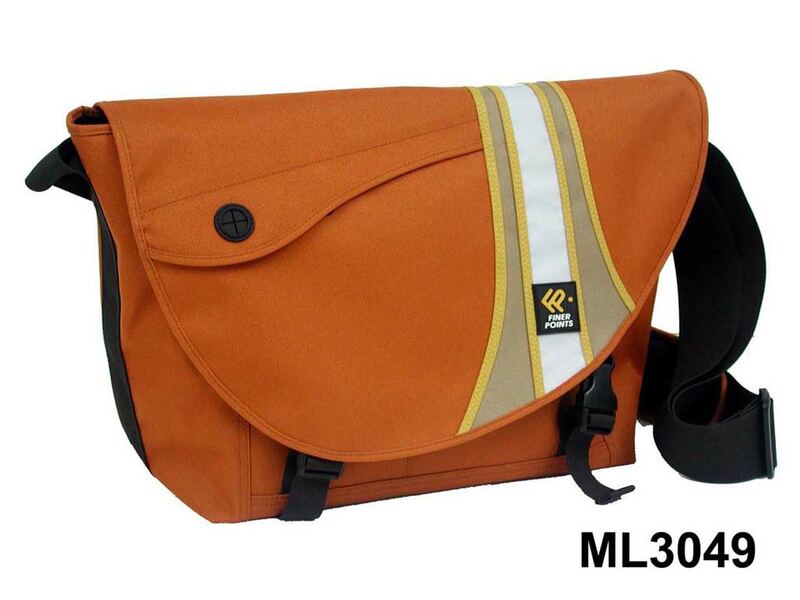 If you’d prefer a canvas messenger bag, this one by Mobile Edge might be the right fit for you. That’s primarily because this is an item that balances functionality and style, while providing durability too. Another highlight of this item is the fact that it’s environmentally friendly! The first thing on our agenda is assessing the design of the bag. The Mobile Edge messenger bag is definitely manufactured with practicality and versatility in mind. Evidently, you want to invest in a messenger bag that will keep your belongings safe, essential when you’re on the move. The good thing is that the design of this messenger bag addresses this purpose. 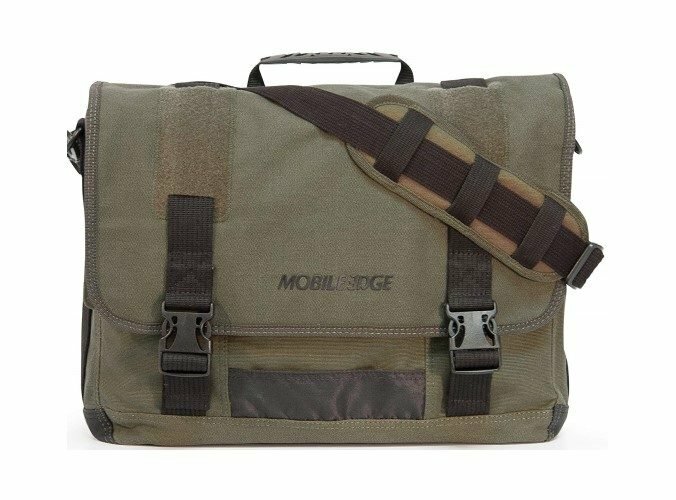 The Mobile Edge messenger bag comes with padding, ensuring that your laptop remains safe. In addition, you can keep other necessities such as books and pencils in a different compartment, so that you don’t damage your laptop or similar gear. Being made from all-natural canvas, it has a sporty look and is really versatile. Depending on your personal style, the bag is available in 4 different colors. If you’d prefer something more neutral looking, the Black, Olive, or Ash options would be a good choice. However, there is an eye-catching Navy option too. The should strap of the Mobile Edge messenger bag is padded for a boost of comfort, but may be insufficient for heavier loads. When wearing the bag fully loaded for an extended timeframe, the strap tends to get rather uncomfortable. Therefore, we’d say this bag is better suited for quick trips or lighter loads. Moving on to compartmentalization – this bag gives you compartments for literally everything, which is great! It is of no use to have a large messenger bag that doesn’t come with sufficient pockets. There is a specially designated compartment for a laptop, as well as a few different compartments for items such as your wallet, phone, pens, etc. It also includes a removable ID holder to conveniently hold your ID for traveling or if accidentally lost. In terms of durability, this bag doesn’t disappoint either. 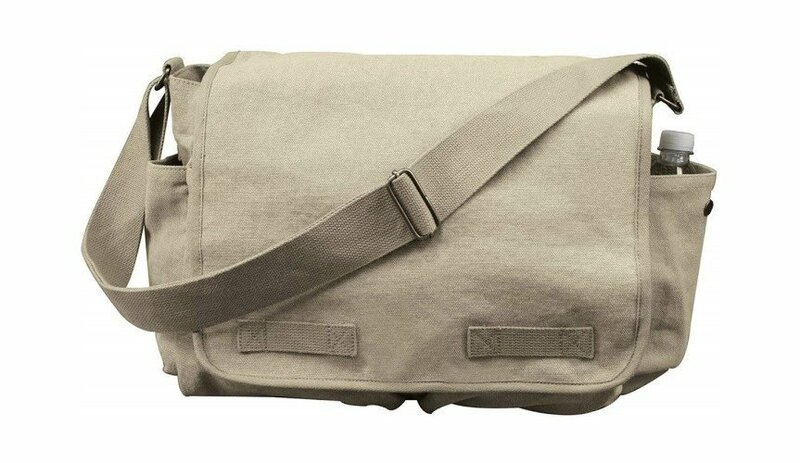 At first glance, you might be tempted to assume that a canvas messenger bag is rather flimsy but this is not the case. The buckles are strong and sturdy too. The carry handle is off-center/ set more toward the back of the bag. You couldn’t possibly go wrong with a minimalist messenger bag such as this one from Rothco. Its design is as simple as it can get, making it really versatile for daily use. This is an excellent unisex messenger bag. Due to its simple, to-the-point design, both men and women can wear it. Not to mention that it works well for numerous applications too. In spite of its simplicity, it looks really well-made and, being manufactured from cotton, it is also lightweight. Plus, this makes it easy to wash too. The strap is also wide enough, evenly distributing the weight on the shoulder. The Velcro strips are meant to keep the bag closed at all times, no matter the size of the load. While the flap is heavyweight enough to keep the bag closed, the Velcro strips make it look neat and put together. This ensures your bag won’t seem sloppy or partially open. As for the snaps in the end pockets, they are tough and secure. You can rest assured that everything will stay in place at all times. Overall, this is a comfortable bag. The strap is wide enough so wearing the bag is not a burden – even when it comes to prolonged periods of time. We would have liked it if the strap had some padding though, offering even further comfort. While the Rothco messenger bag is simplistic in design, it certainly offers a good variety of pockets. Inside, you will find a zipped pocket that can accommodate a range of flat items, including a passport. On the outside, there are 2 spacious slip pockets on the front, as well as 2 pockets on the side – suitable for carrying water bottles. This is definitely a heavy-duty messenger bag, so durability is a given. A minor drawback is that the Velcro strips may wear out eventually, with excessive use. The color of the bag may fade over time too. The Velcro strips are prone to wear. 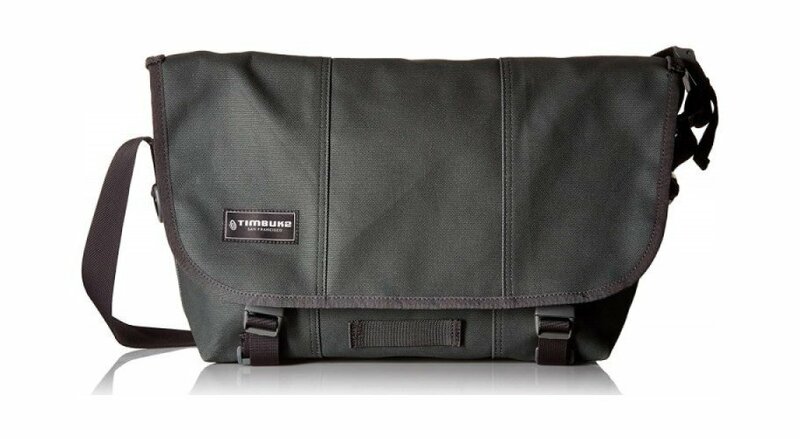 Continuing with an interesting messenger bag for men, we have Timbuk2’s Classic. So, what is it that makes the Timbuk2 Classic messenger bag worthy of your attention? For starters, this is a bag that is available in numerous colors and sizes – 32 color choices and 4 different size options. Therefore, there is bound to be something that suits your personal taste or style. Made from a durable polyethylene, it is practical, sturdy and well-made – able to withstand prolonged use. Regardless of the weather conditions, your belongings should be safe and sound inside the bag as it is lined with a water-resistant TPU fabric. The buckles are partially hidden under the flap, giving the bag a clean, put-together look. Additionally, the grab strap is also inconspicuous, sewn flush against the bag. This bag is designed with functionality in mind and is excellent for commuters, bikers, and students. Weighing only one pound, the Classic Messenger Bag from Timbuk2 is incredibly lightweight. As for the quality of the zipper- the Classic messenger bag features premium YKK zippers. If we were to assess the comfort level of this messenger bag, we would have to say that it is really comfy to wear throughout the day. The strap is fully adjustable and wide enough to stay put on your shoulder. The strap has also been updated – meaning that it is now softer than it was on former models. What about the way in which this bag is organized – is it practical? 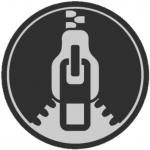 Well, according to Timbuk2, the pocket layout has been redesigned, with the inclusion of the water bottle pocket. The reason why a water bottle pocket is located on the side is to distribute the weight evenly. There is also a useful exterior pocket for storing your keys, wallet or phone. The interior is very minimalistic with very few pockets. This is where the Timbuk2 Classic messenger bag shines. It has a sturdy construction and stitching, not to mention that the manufacturer provides a lifetime warranty with each purchase too. This is another top-quality men’s messenger bag. It combines functionality and practicality with a vintage-inspired style. If you find that a military messenger bag would address your individual needs best, then this one might be it. Featuring a combination of sturdy canvas and cow leather, this bag looks good while being surprisingly sturdy. It has a retro vibe to it, which is what makes its design appealing. It comes with two sturdy leather straps and buckles – these play a major role in the vintage-retro look of the bag. As for the main flap, it features magnetic buttons, for facilitating easy access to the main compartment. Maintaining this bag in top form shouldn’t be too challenging either, thanks to its construction. The only restriction is to avoid washing it with hot water. Also, you should wash it separately, to prevent staining incidents. Of course, this isn’t a formal bag. Therefore, it is better suited for students, or day-to-day chores. Evidently, your working environment counts in this view, as well. The shoulder strap is wide so that you won’t feel any discomfort while wearing the bag. Still, being so spacious, you might be tempted to carry too much stuff with you. Therefore, if the bag gets too bulky, you might find it a bit uncomfortable to carry around. Otherwise, there shouldn’t be any problems in this area. The main compartment of the bag easily accommodates books, notebooks, a 13.3-17.3″ laptop, plus more. You will definitely find the side pockets just as useful for storing other things you might need. As for the inner zipper, it is more than perfect for keys. We were pretty disappointed that the side pockets aren’t large enough to accommodate a water bottle. Also, the lack of padding might potentially be a disadvantage. The fact that the corners of the bag are made from leather aims at enhancing its durability. Essentially, if you plan to use this bag to carry your laptop, this will prevent the edges from excessive wear and tear. Some of the areas in which tearing often occurs are double stitched, as well – such as around the leather corners and the pocket tops. As for the front and side pockets, they are also lined. If we had to point out the best messenger bag in terms of style and functionality, this one by Wowbox would come pretty close. It is stylish, functional, comfortable to wear and versatile. 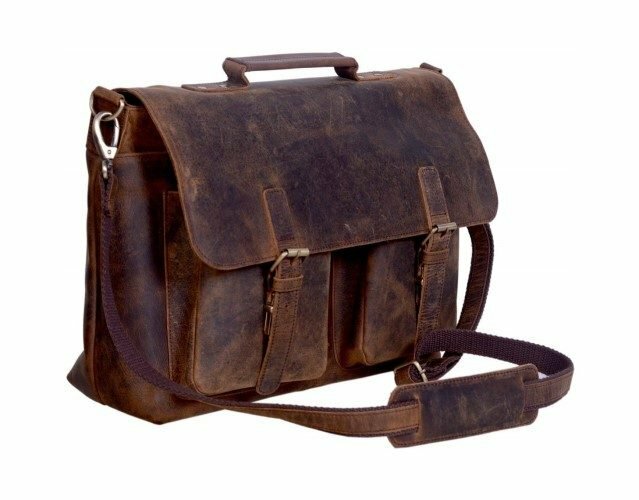 In terms of design, this is far from being a typical leather messenger bag for men. Leather bags definitely look stylish and classy, and the mixing of leather with canvas in this Wowbox messenger bag is incredibly appealing. he cowhide looks luxurious, whereas the canvas looks rugged and functional – a great combination if you ask us. Thanks to its versatile design, both men and women could wear this in both formal and casual applications. It is double secured by zippers and magnetic straps, giving you quick access to your things. You can also remove the detachable strap if you want to carry the bag as a business briefcase. Depending on the way in which you like to carry your messenger bag, you can customize the length of the strap. The strap is wide enough so that it doesn’t slip off your shoulder when you’re in a hurry or on-the-go but it doesn’t come with any padding – which is disappointing in terms of comfort. The neat organization is another highlight of this bag. It consists of two front slip pockets for books, notes, or an iPad; one main compartment featuring a secure zipper closure; an individual padded laptop compartment that has a Velcro closure; four individual slip pockets; as well as two pockets for cards and others for pens. There is also a rear slim padded compartment featuring two secure magnetic clasps. In terms of compartments, this bag really delivers. If you like to keep your things organized, you won’t be disappointed by this bag. The bottom of the messenger bag is padded to prevent premature wear. This is a sturdy leather satchel that is made to last. Without fear of contradiction, the vintage-inspired design of this bag is the very first thing that catches the eye. It is made from fine-quality hunter buffalo leather. In addition to that, it features a canvas lining, which aims at maximizing the durability of the unit. In terms of craftsmanship, this satchel is an artwork. The leather has a distressed look, which gives it a vintage appeal. We really like the color discoloration too, with the intentional scratches and wrinkles on the leather surface show a sense of wildness. One thing to bear in mind is that the leather hasn’t been lacquered or anything of the kind. It also comes with sturdy zippers and sliders, whereas the handle is thick. Thanks to the leather top handle, you can use it as a briefcase as well. According to the KomalC, 80 percent of the manufacturing process is done by hand. This is truly what makes this messenger bag stand out. Considering that you’re on the lookout for a messenger bag, the odds are that you want to wear it as such – don’t you? In that case, you’ll be pleased to know that you can wear it on your shoulder or across your body comfortably. The shoulder strap is adjustable and wide enough to optimize your comfort. In fact, it is surprisingly comfortable, considering that it doesn’t have any padding whatsoever. Ideally, a messenger bag should accommodate a laptop and this one meets this requisite. KomalC has created a separate, padded laptop compartment – ensuring your laptop is protected at all times. It also has a Velcro leather strap to keep the laptop secure. Measuring 15.5 x 4 x 11 inches, there really is a lot of space for all your notebooks, etc. On the front of the bag, underneath the flap, there are two individual pockets. These are useful in keeping accessories such as your charger, stationery, keys, etc. Meanwhile, on the back of the bag, there is a flat zippered pocket. This is great for keeping more important documents. This is an incredibly durable messenger bag as it is made from high-quality leather and features double stitching. In addition, the shoulder strap is just as durable and made to last. Perhaps the only issue with durability is that the leather carry handle isn’t quite as sturdy as you’d expect it to be. If you carry the bag as a briefcase all the time, this could shorten its lifespan. This messenger bag from Gearonic is definitely worthy of your attention. 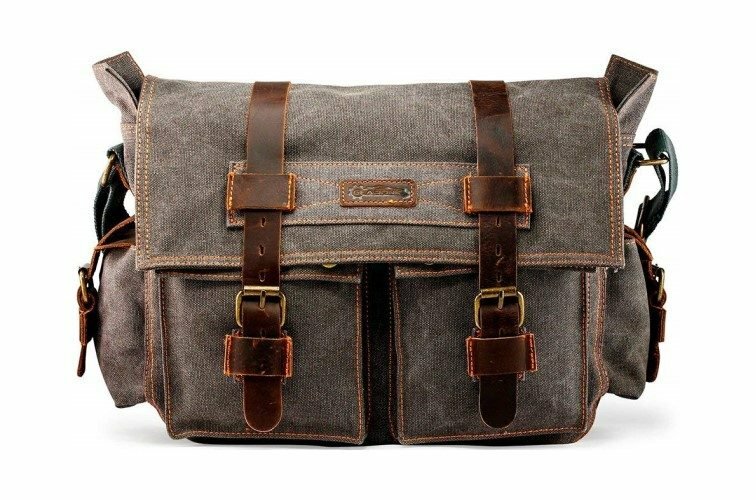 It comes with pretty much everything you’d expect of a well-made men’s messenger bag: style, practicality, and durability. Measuring 14 x 4 x 7 inches, this is a very spacious messenger bag. In terms of construction, its made from high-density canvas, featuring PU leather in key areas. With the flap over design, it gives a look that is classic and timeless. In addition to that, we love the beautiful vintage brass hardware accents too. We also like that the stitching is done in a different color, which creates a nice contrast. One of the reasons why this bag is a worthwhile investment is its versatility. You can use it on a day-to-day basis for work or school, or since it’s made from high-density canvas, it would be perfect to use while traveling too. The strap of this men’s messenger bag is also made from canvas, featuring a small leather section right in the middle. The purpose of the leather section is to even the weight and to facilitate the comfort of the wearer, which it does a decent job of. We expect messenger bags to be beautiful and stylish but they should be practical as well. The good thing about this one from Gearonic is that it comes with six useful compartments. There are four individual external pockets, an internal pocket, and a large main compartment. The main compartment is large enough to carry your laptop, notebooks, camera, and other important belongings. With plenty of extra smaller compartments, there’s plenty of space to carry all of your accessories too. Made from a premium quality, high-density canvas fabric, this messenger bag is sturdy and durable. Gearonic is so satisfied with their quality and craftsmanship that they allow you to return it for a full refund, no questions asked, should you not be 100% satisfied with the bag. 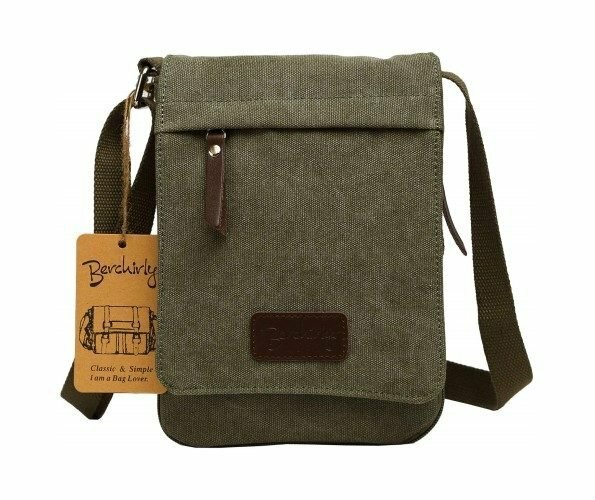 If you’d like to invest in a small messenger bag, we believe that this particular one from Berchirly will be right down your alley. Portability is, of course, the highlight of this item. It’s made from a sturdy, high-density canvas, with premium-quality PU leather accents. It is 8.66 x 6.69 x 1.96 inches in size and weighs only 8 ounces. You’ll find that carrying it around is effortless, making it ideal for day-to-day use as well as for traveling, hiking, and camping. This compact messenger bag can be worn either cross-body or on one shoulder. 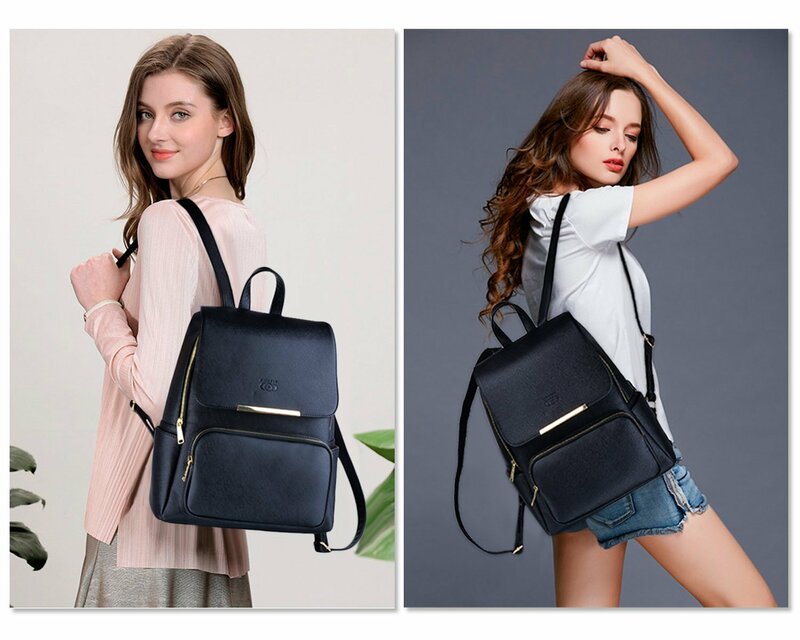 The shoulder strap is 140cm in length and is also adjustable for easy and comfortable carrying. The front flap is secured with a strip of Velcro, preventing the bag from being easily opened. With the shoulder strap being adjustable, you can customize it based on your height and preference. Due to its small size, you’re unlikely to experience any discomfort or strain after wearing it for many hours. This is what makes it an ideal messenger bag for traveling. While this may be a small messenger bag, it still offers plenty of compartments to keep your things organized. The bag features one main compartment which is spacious enough to fit a small tablet. It also has one open slot hidden under the front flap, one zippered pocket on the front of the bag, as well as one on the rear of the bag too. The lifespan of this bag is pretty good. 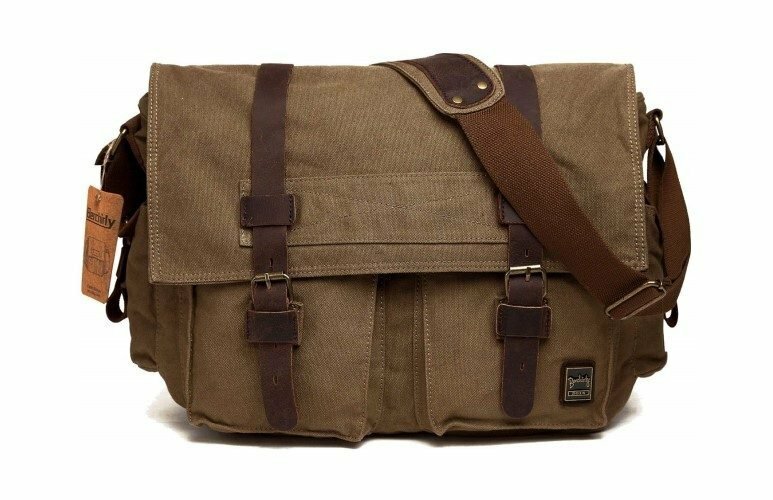 Like many of the other messenger bags we’ve featured, it’s made from a high-quality, durable canvas – making it perfect for everyday use. As with many bags which are used on a daily basis, the Velcro closure strip is prone to wear On the whole though, this is a bag that offers decent value for the money. The Command messenger bag offers a simplistic and modern design. It was specifically designed with frequent flyers and jet-setters in mind, which is also why the Command is TSA approved. Packed with design features such as reflective strips as well as silencer strips which cover the Velcro closures, allowing you to open them without making a sound. The front flap is also TPU lined and weather resistant. The pockets are lined with a tricot fabric to keep your electronics or sunglasses protected, and the front pocket is also padded to protect your 9″ tablet. The aluminum clips on the front of the bag also add to the clean, modern aesthetic. With more than ten different color options to choose from, there is sure to be one that suits everybody’s tastes and style. When we think of Timbuk2, we associate the brand with reliability and top-notch features – comfort included. When it’s empty, the bag weighs only 2 pounds and the shoulder strap is also padded so even if you tend to carry a heavy load with you, you shouldn’t feel any notable discomfort. The back is also ventilated, optimizing the comfort of the wearer. This is an innovative feature when it comes to messenger bags – especially if you prefer wearing the bag across your body. The Command is loaded with a variety of pockets, ensuring all your things stay organized. There are three Napoleon pockets, meaning that you can access these pockets with the flap down. One of these pockets is tricot lined, perfect for keeping your sunglasses or cell phone protected. The second pocket is fairly large – large enough to keep a U-Lock for your bicycle. Finally, the third Napoleon pocket is great for storing things like a charger, power cables, sunglass case, etc. On the side is a water bottle pocket and on the back of the bag, is a zippered pocket with a laptop sleeve and a 9″ tablet sleeve. It’s quilted and padded, ensuring your gear stays protected. Inside the bag, there are two slash pockets, two slip pockets, and a zippered pocket. In terms of durability, this bag is incredibly sturdy – as are most Timbuk2 bags. Plus for added peace of mind, Timbuk2 offers a lifetime warranty too. Shopping for Messenger Bags: What Should You Consider? This is one of the most important things to consider. That’s because a bag’s material is linked with its durability and the way in which it’s expected to last. Essentially, your personal likes and dislikes and your style matter just as much in this respect. For instance, if you’re a fan of a casual, effortless style, it doesn’t really make sense to invest in a satchel made from leather. The market overflows with canvas messenger bags. Such an item is a popular choice for students, as they tend to carry a lot of books, notebooks, and other useful accessories. What is it that makes canvas such a widespread option for messenger bags? Well, canvas is a sturdy and durable material. To assess its durability, you should know that this is widely used for making tents, sails, backpacks, marquees and other similar items that require durability. Essentially, this material consists of a combination of cotton, linen or polyvinyl chloride – depending on the manufacturer. The reason why it is different from other heavy cotton fabrics is that it is a plain weave as opposed to a twill weave. Moving on, canvas material is lightweight. This serves as another important advantage if you want to reduce the load you’re carrying. At the same time, it is also water resistant. Therefore, in extreme weather conditions, your belongings will be kept safe inside the bag. Finally, canvas fabric can be dyed various colors, making it possible for manufacturers to produce trendy designs for modern use. Leather is another popular choice when it comes to messenger bags. That’s specifically due to the polished, elegant appeal it has. Business professionals prefer investing in leather bags because they are stylish and durable. 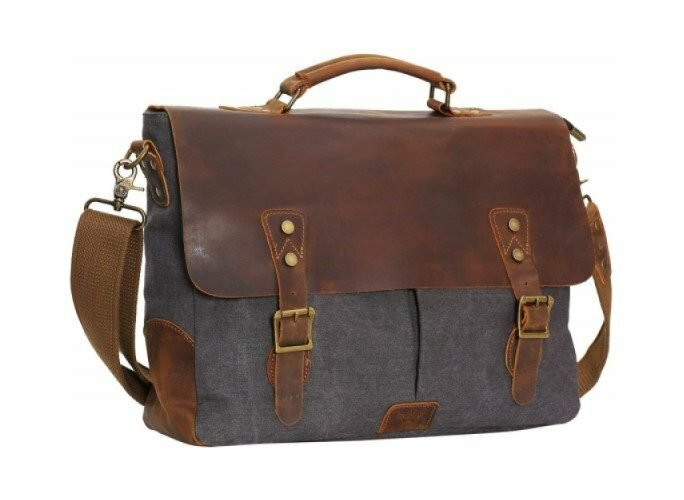 If you aren’t too keen on carrying a plain traditional briefcase but need the functionality which it provides, a leather messenger bag will also meet those needs. While perhaps not as wide a variety as canvas messenger bags, there are many types and colors of leather available. Some manufacturers prefer using a more rugged looking leather, while others use a softer variant. The main advantage of rugged leather is that it is more resistant to scratches and wear, whereas soft leather is prone to get damaged sooner. Many bags are made from leather that has been intentionally worn to give it that vintage, worn look. As long as you care for it correctly, your leather bag performs incredibly well over time. If you decide to invest in a leather bag, make sure that you maintain it, so that you can enjoy it for many years to come. Lastly- aside from being a timeless and classic piece, most leather messenger bags are also suitable for both men and women’s fashion alike. If you live in a humid environment and constantly deal with rain, then investing in a waterproof messenger bag would be the most sensible thing to do. However, you should note the difference between waterproof and water-resistant bags, as they are definitely not the same thing. If a messenger bag is presented as being water-resistant, this means that it can withstand a certain degree of humidity, while waterproof would mean it could withstand the rain. On that note, nylon is a popular manufacturing material for many messenger bags. That’s because it meets some essential conditions such as durability, versatility, and that it is resistant to all types of weather conditions. The thing with synthetic blends, though, is that they don’t always look as professional or put together as leather or, in some cases, canvas. A messenger bag’s closure is another important consideration. If you are a commuter, for example, you should be 100 percent certain that your belongings are safe – especially when you’re going through crowded spaces like subways, etc. This is why many bags come with a zippered closure, particularly when it comes to the main compartment – as this usually where your laptop will be located. For additional security, having a messenger bag which allows the front flap to be fastened to the bag is also a good feature to look out for. The material used for the interior of the bag is an important aspect to look at. For example, many bags have padded sections, which are specifically designated for storing sensitive electronics such as laptops, iPads, cameras, etc. Manufacturers use a combination of fabric, plastic, and nylon, for optimal functionality. Make sure you check what the bag is lined with, as well as what padding it offers before deciding. It would be safe to say that the craftsmanship of a messenger bag is a reliable indicator of its durability. It also impacts the way in which the bag looks, flimsy and cheap vs. durable and expensive. The stitching of a bag is very important, as it needs to be able to support the weight of the bag when full. Double stitching maximizes the durability and sturdiness of a bag and adds to the overall look of the bag too. Generally, the edges of a well-made messenger bag will be double-stitched, as these are the areas in which the bag is more prone to wear. If we were to ask you what the most critical consideration when looking for the perfect messenger bag is, what would your answer be? We’d assume that most of you would say that functionality is the main priority – and we’d agree. This is why we’ve talked about compartmentalization with each of the bags we presented in today’s guide. You should be 100 percent confident that the bag suits your needs when it comes to space which it offers. If you like to keep your things organized and in top order, you shouldn’t overlook this. At the same time, you should have easy access to certain items which you use often – particularly when traveling. A bag’s comfort level is usually associated with the build and shape of the strap. This is because the strap can either be super comfortable or uncomfortable and painful to wear. One thing to keep in mind is that the strap should be adjustable. This way, you can customize it to wear it on your shoulder or across the body, depending on how you see it fit. In addition, if you plan on carrying the bag for many hours, then the strap should also be padded. Aside from that, have a look at the buckles that connect the straps – they should be strong and sturdy enough to adequately sustain the tension of the load. Otherwise, the strap will cut through your shoulder and cause great discomfort. Shopping for the best messenger bag is not that easy. You might feel a tad overwhelmed when starting to browse the market, however, we hope that our guide has made the decision-making process easier for you. We wanted to incorporate a mix of products that address a variety of requirements and preferences, ensuring something to suit everyone. In conclusion – before buying a messenger bag, take the time to analyze your needs, and ensure that the material and design is suitable for your specifications. Note that compartmentalization and the comfort level provided by the design, build and strap are critical for a bag’s functionality.